The deal: Get them fresh on the half shell with salsa bruja and lime or wood-roasted and absolutely dripping in chipotle butter for up to half off. $7/half dozen, $13/dozen. 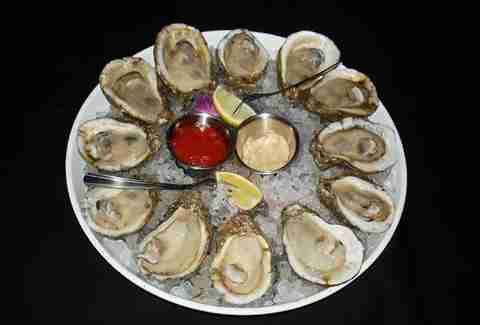 Vuelve a la Vida -- a half-dozen raw gulf oysters and a glass of their weekly oyster wine is $13.50. 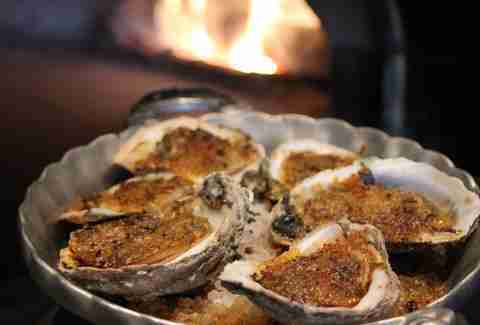 Or have a bottle of Mumm's Cordon Rouge Champagne and half-dozen of the wood-roasted oysters for $65 (seasonal). 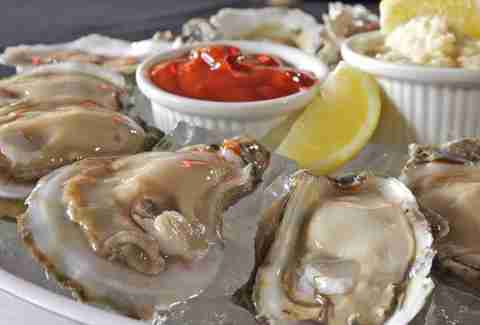 The deal: Hit the oyster room to get a spectacular lineup of HH oysters, including Sea Wings (Gulf of Mexico, TX), Point Aux Pins (Grand Bay, AL), and Standfish Shore (Duxbury, MA) for $1 to $3 each. 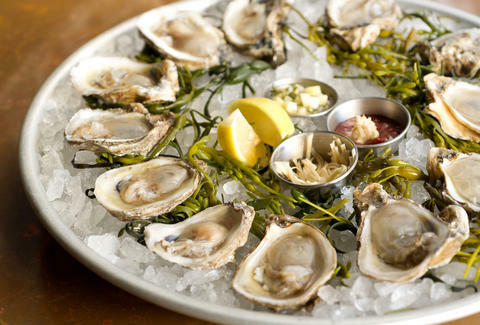 The deal: Prime Time happy hour with bites includes $2 oysters on the half shell and half-off cornmeal fried oysters ($8 instead of $16) at the bar. The deal: $6 half-dozen oysters on the half shell and $7 half-dozen delicious as hell chargrilled oysters (available in three flavors: Rockefeller, New Orleans BBQ, Singapore Black Pepper). 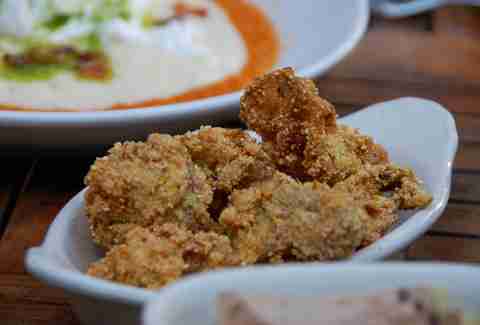 The deal: $8 crispy oysters, semolina-dusted and deep-fried with spinach and leek fondue, Sriracha aioli, and BACON. 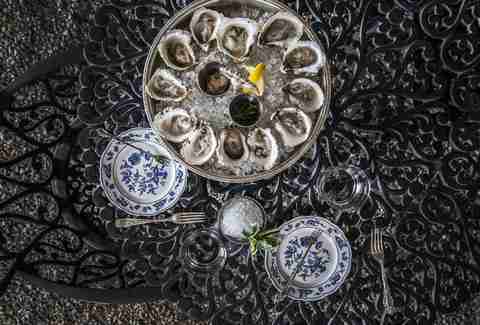 Brooke Viggiano is a Houston writer who thinks every happy hour should be oyster happy hour. Find out why on Twitter @BrookeViggiano.